if unsupported by the moral fabric of God’s Word. The moral structure in our country grew from Judeo-Christian roots. When those values are applied, they produce moral fruits. But if that structure disappears, the moral sentiment that shapes our nation’s goals will disappear with it. What makes the United States of America exceptional is that it is the only trans-racial nation on the planet. We operate on the idea that anyone – no matter where they come from – may BECOME an American. While you certainly can live in America and not BE an American, those who do come here legally, who become citizens, who assimilate into American society and adopt American ideals, ARE Americans. Yours truly is a prime case in point. You can’t do that anywhere else. I can move to Japan, say, gain official Japanese citizenship, learn to speak Japanese, and adopt Japanese culture as my own – but I can never, ever BE Japanese. Or German, or Dutch, or whatever. This is because the United States of America is more than just a place, it is an idea – and believing in that idea is what makes you an American. Not the nation of your birth, your skin color, or your religion. No other nation on Earth operates this way and that is why America is exceptional. Exceptional enough in character and morality, that three previously-unrecognized young American men swept to the forefront of newspapers/social media and cable news outlets around the world this past week when their exploits on a train headed to Paris from Brussels (a trip, incidentally, that I have made many times during one of my past business lives) included the take-down of an identified Islamic Jihadist Muslim Terrorist who it turns out, was hell-bent on wiping out the entire passenger list on that train. Bare-handed, they hauled him down, whacked him unconcious, and tied him up with towels until the “authorities” could come and haul him off to prison. News got you down? Stock Market crashing? Hillary? The Donald? Fortunately, there is some good news. Sometimes the good guys win. Case in point: this week’s story about the three Americans who tackled the Muzzie with the AK on the train in France. 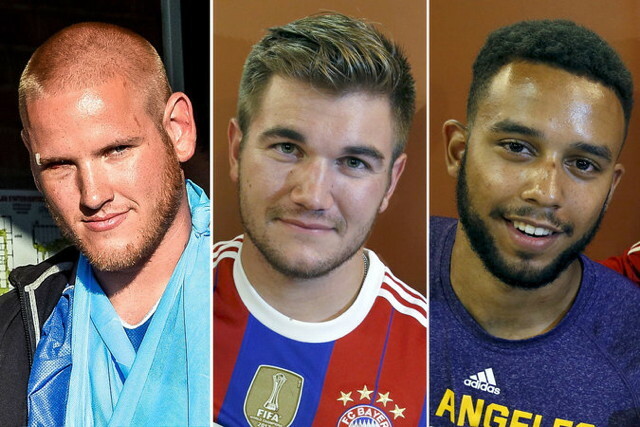 “The three American men whom French authorities credit with disrupting a potential terror attack on a Paris-bound high-speed train Friday are childhood friends who had all attended California’s Freedom Christian School and often played military games together growing up. “We believe God’s providential will worked its way out,” said Mr. Sadler’s father, Anthony Sadler, a Baptist pastor. But wait, it gets better. Look at their pictures. Three good looking American kids. Two white, one black. Boyhood friends. What does this have to do with politics? Simple. Obama is not just wrong about America. He and his hench-creatures are evil. They are trying to tribalize us, so that they can divide us and rule a demoralized and defeated country forever. This is what we must fight. The way to win is to not accept tribalization. The way to win is to state that these three young men are what America is really all about. The way to win is not to nurture grievances and salve them with unfulfillable promises. The way to win is to call people to be their highest and best selves. Republican Presidential Candidates: Forget Hillary. Forget the Donald. Forget Obama. The ads, the speeches, write themselves. Appeal to our highest selves. Draw the contrast with the tactics of tribalism and division. Don’t be afraid to be sappy and sentimental. These three young men have made us proud. The Pilgrims put their ideals ahead of all material considerations. It is not surprising that the Pilgrims had little and succeeded, while we have much and are in danger of failing. No civilization can make progress unless some great principle is generously mixed into the mortar of its foundations in life. Leave a reply on "American Exceptionalism Lives On.."